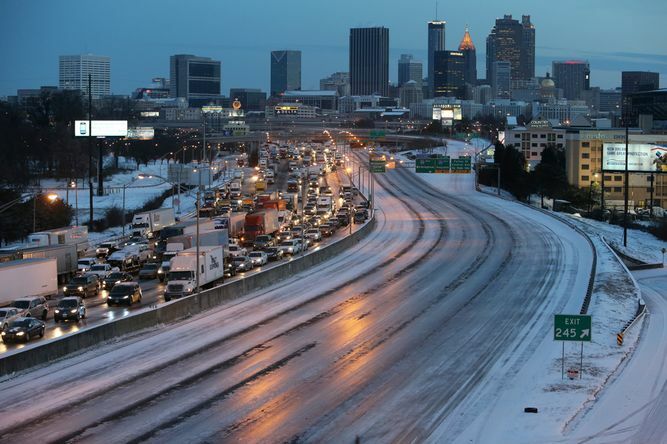 On behalf of the Atlanta media, I’d like to thank you for not blaming us for the slow response to the Tuesday storm we’ll call Gridlockalypse 2014. Because one could argue that you could. No, the blame rests with the government officials who failed to heed the hue and cry we raised Tuesday morning, when the National Weather Service issued a Winter Storm Warning at 3:39am. That’s the technicality that lets us off the hook. 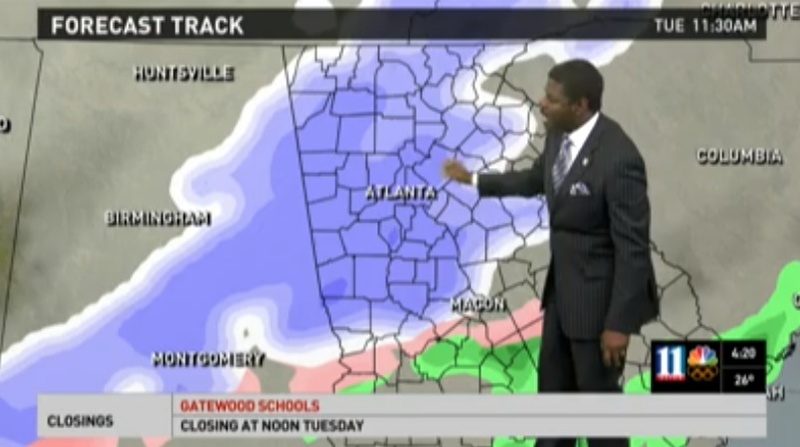 Here’s the reality: The Atlanta news media — especially TV — likes nothing more than to raise a hue and cry about upcoming “weather events.” And it doesn’t take a Winter Storm Warning to prompt it. We get excited about Winter Weather Advisories, Winter Storm Watches, Severe Thunderstorm Watches, and Heat Advisories. We get geeked when the temperature drops below freezing. There’s a reason for that. The audience actually turns on local TV news when they think the weather is getting bad. It’s measurable. 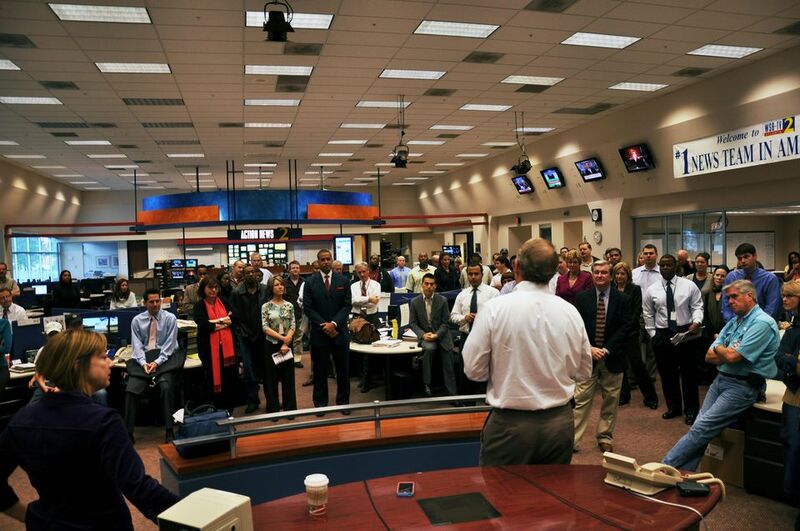 And we are always happy to welcome our larger audience with hearty doses of the information they seek. Whenever it happens, we are utterly truthful with the details. If the NWS has issued a Winter Storm Watch and not a warning, we’ll say that — over and over and over again, while producing perilous-looking color schemes moving ominously across maps. It may not be apocalyptic, but it sure seems that way. Can you blame state officials for failing to discern that the real thing was advancing upon us Tuesday? Technically, you can. A Winter Storm Warning means that a winter storm is “imminent or occurring.” The word “warning” is always the key when attuned to NWS information. Meantime, you’ve got political appointees running agencies like the Department of Transportation and the Georgia Emergency Management Agency who are supposed to discern the subtle differences between our usual weather drumbeat, and the real deal. So yes: An alarm should go off in GEMA whenever the NWS issues a Winter Storm Warning. That’s a tangible signal that our routine drumbeat of weather coverage has flipped into something genuinely noteworthy, and its time to activate Georgia’s paltry fleet of salt trucks. That would have been petty. But it would have been an interesting conversation starter. This entry was posted in WAGA, WGCL, WSB, WXIA on February 3, 2014 by live apt fire. The problem here…was a failure to communicate by GEMA, and a failure to remember SnowJam ’82. Exact same scenario, except that in ’82 snow started mid-afternoon. Same jammed freeways. Same abandoned cars. Isn’t someone at GEMA over 50? And on TV, wasn’t Ken Cook here then? We would have been better off with Guy Sharpe. Why is it the Government’s fault? 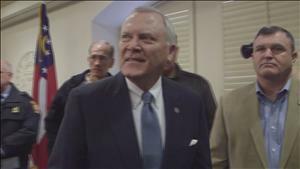 Are the people of Atlanta so dependent that they are incapable of making their own decisions? The warnings were available to everyone, not just the Government. The jam was caused by the people themselves who decided to ignore those warnings, send their kids off to school, and go about life as normal. I have to say, though, I took this one seriously only because Joann Feldman, one or two days before the first flake fell, said “This one on Tuesday is real. I will pack an overnight bag and plan to spend the night at the station.” I’ve never heard her say anything like before, and she is less prone to hyperbole than most.